ONE-Creations / Renegade ONE Breath new life into own collections. These are Rejuvenated (partial) version of Renegade ONE pants Collection. All items are now Compatible with SIGNATURE Gianni and BELLEZA Jake body’s. *! 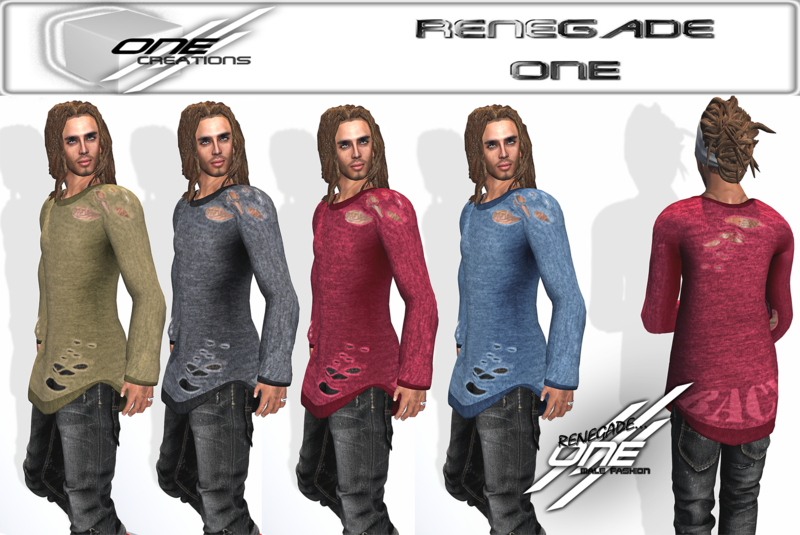 All ONE-Creations / Renegade ONE Creations are 100% ORIGINAL FITTED mesh !*. These items are specifically created to fit Signature Gianni and Belleza Jake avatar mesh body’s . All the items comes in several colors and are also available in convenient FATPACKS. DQ…Cargo Pants ( Duo ). This Cargo pants which are created out of 2 different colors. One is the standard color that all of them has. The other part is the inner side of the pants that matches the belt loops and the buttons which comes in 5 different colors. This is Available in singe colors or as a convenient FATPACK. This style is taper with cropped legs so it can fit on top of boots or sneakers of your choice. IT has eye-catching stitchings which decorates all over the seams. It has been Created to fit both Signature Gianni and Belleza Jake mesh body. This style is available in single colors or as a convenient FATPACK. DQ…Tycoon + Boxer – BAGGY. This is a baggy style pants, full length and wide bottom legs. It comes with a boxer short inside with wide frond pockets. Also Available in singe colors or as a convenient FATPACK. DQ…Tycoon + Boxer – TAPER. This is a Tapered version of the Baggy pants. The pants are created to fit both Signature Gianni and Belleza Jake avatar mesh body’s. 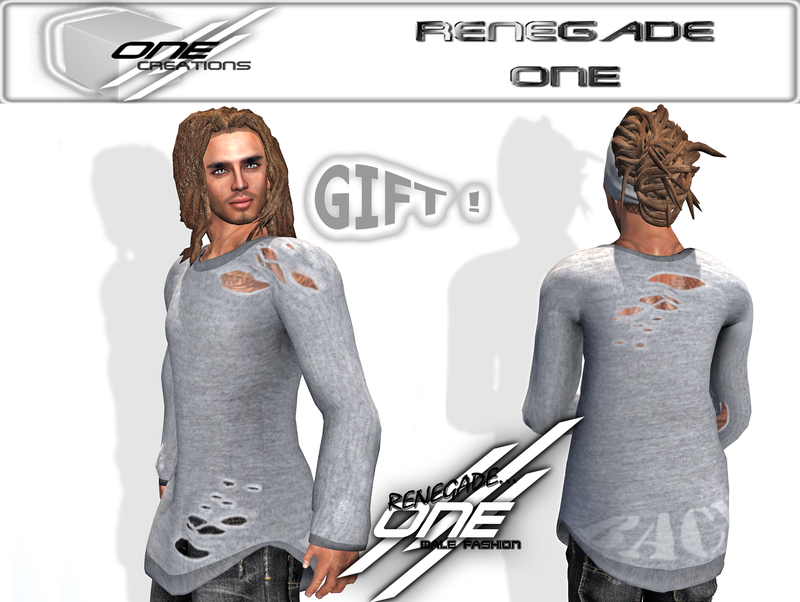 Thank you for your interest in ONE-Creations / Renegade ONE items !! .